We are keen to encourage people to actively participate in their communities, whether this is through becoming involved in community groups and activities, setting up new groups and activities or through other forms of social action, such as telling us about the issues that are important to you. Below are examples of a number of community-led initiatives which we have supported, along with information about other ways you can get involved in community action. Leicestershire County Council has supported over 30 libraries to be taken over and run by local community groups. 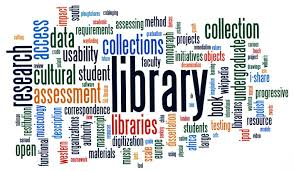 You can find out more about our Community Managed Libraries programme here. The Communities Network (operated by the Communities Team at Leicestershire County Council) provides an online forum for residents and communities in Leicestershire to talk to each other about initiatives, projects, and activities, which demonstrate positive social action. The Network is also a way of sharing opportunities to get involved in local projects, and will also help us to develop inspiring case studies to share with people who have an interest in community action. You can find out more about the Communities Network here. Community groups and residents are invited to come along to find out more about the groups and activities on offer in a specific area. You can also find out more about how you can get involved here. 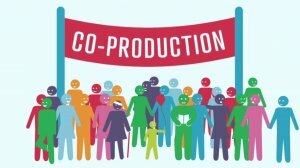 You can find out more about Leicestershire County Council's approach to Co-Production here. The views and opinions of our residents and communities are very important to us. 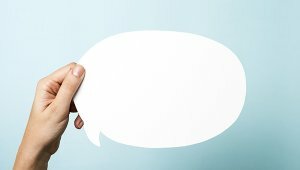 You can find out more about current (and previous) Leicestershire County Council consultation exercises here. To find out more about what a Neighbourhood Plan is and how it can help your community plan for the future, Click Here. You can also contact your local Parish Council to see if there is already a Neighbourhood Planning Group in your area. If your area doesn't currently have a Neighbourhood Plan, not you can help to get one started. For support, advice and guidance about developing a Neighbourhood Plan, Click Here or email: neighbourhoodplanning@leics.gov.uk. Leicestershire County Council is committed to helping people to actively participate in their communities. One of they ways you can do this is by getting involved in volunteering. There are many, and significant benefits to volunteering, including learning new skills and experience, meeting new people and improving your own sense of wellbeing. If you are interested in becoming a volunteer, you can search for opportunities through the Volunteering in Leicestershire website. You can also find out more about volunteering on Voluntary Action Leicestershire's website.